Did you know we installed a Sunshine Coast Solar power system in Caloundra last week? 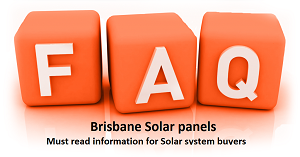 Are you living north of Brisbane and wanting Solar power Sunshine coast? You are in luck! We install north of Gympie, north of Noosa, and weekly in and around Pelican Waters and Mooloolaba. Even if you live in and around the Hervey Bay region, we will have our own installers come out and visit you, and install a quality solar power system. We are receiving more and more enquiries for solar power sunshine coast and LED Lighting from well north of Brisbane. We have installed as far north as Cairns. We have installed commercial solar power Sunshine Coast systems as well. Bigger systems 20kw plus size are becoming very popular all around Queensland these days as thecost of power is increasing in tremendous amounts yearly. We will install the best Chinese inverter on the market, JFY INVERTER. We will even install this in Sunshine Coast region. The customer has been more than impressed at not only our German Inverter, SMA SUNNYBOY we used in their install, but the fact that we agreed to beat and match price with a local competitor, as remember, we are local also. Just because you live a couple of hundred kilometres out of Brisbane City doesn’t mean you have to pay premium prices. We can get away without paying high excess travel fees on the Brisbane Metro prices, as we are likely to have installers that live in your area!